One of the most rewarding things that I’ve experienced in my short time as a blogger is meeting other travelers and bloggers who have the same passion for seeing the world and inspiring others to explore the world without fear. A few weeks ago I encountered one such traveler, Deidre Mathis. 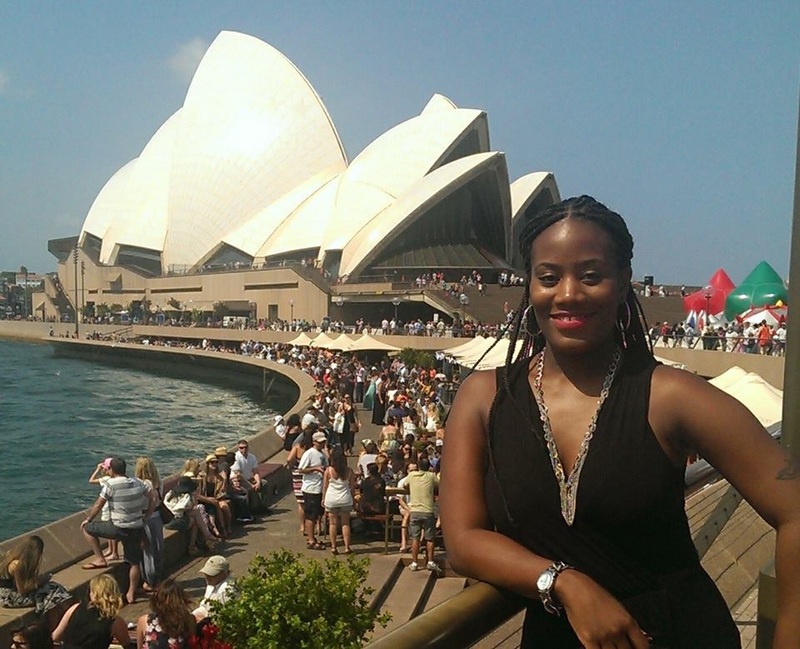 Deidre is a writer, speaker, travel blogger, and wanderluster from Jacksonville, FL. She studied Broadcast Journalism at Florida A&M university (FAMU), Communications at Bowie State university and Tourism Management at George Washington University. Pretty impressive, right? Well I was impressed by an excerpt that I read from Deidre’s forthcoming book, “Wanderlust: For the Young, Broke Professional”, and her ‘Pay It Forward’ Initiative, a two-tiered effort to say “thank you” and give back to the world of travel (more on both later). I was able to Skype briefly with Deidre a little while ago. It was lovely to meet and talk with her e-face to e-face. Her excitement and passion for travel reminded me of my own, so I was happy to be able to follow-up with her via email to ask some questions and find out more about her book, her blog, her passion for travel, and her future plans and goals. Check out my interview below! Tell me how/when you were bitten by the travel bug. 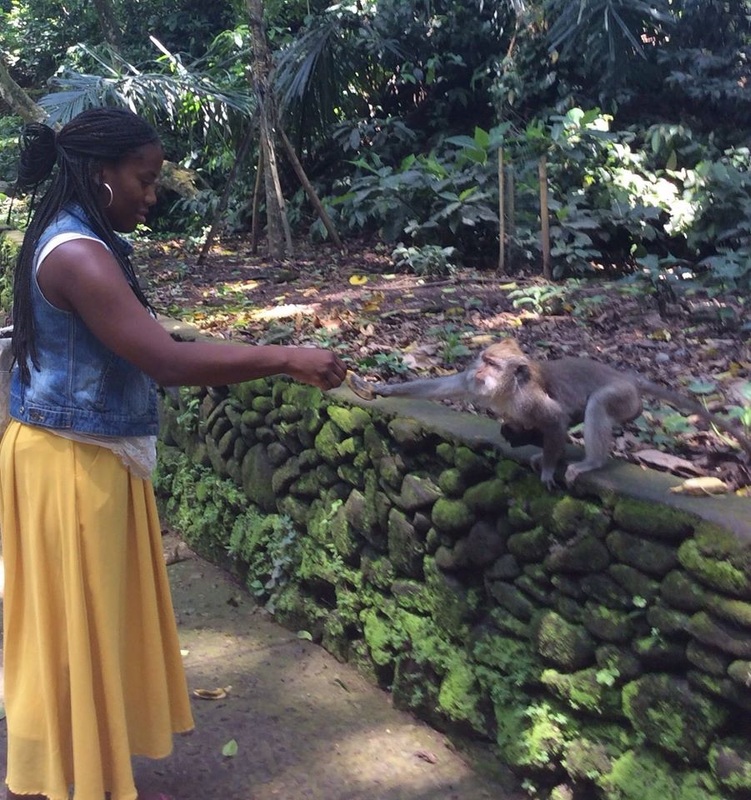 I caught the travel bug when I took my first International Trip to the Dominican Republic at 19 years old during a short-term study abroad program through my school. This was the first time I had experienced life outside of the USA and it was amazing! The language difference, the culture, the experience as a whole was just life changing. This trip gave me the travel bug and I have literally been traveling ever since. Do you have a favorite country/region/city in the world? Oh no! That is like asking a parent who their favorite child is! …but if I HAD to answer, I would say South Africa, Fiji, and Australia. What is your ultimate travel fantasy? I will be opening a hostel within the next few years and that will allow me to be a part of other people’s travels while allowing myself to continue working in the travel industry. Any future travel plans that you’re excited about? I will be on the road quite a bit this year: Iceland, Ireland, China, Chile, Abu Dhabi, Barbados, and Bahamas. And I am looking forward to my plans for 2016: New Zealand, Bora Bora, back to Thailand, and Kenya. Wow! Ok! So now, let’s get to your book, blog, and Pay it Forward Initiative. Tell me a bit about your travel blog and your book. Why did you start a blog and what gave you the idea to write a book? My blog is http://www.passportsandpizzazz.com. I initially started to blog when I moved to India during the summer of 2012 (https://deidreinindia.wordpress.com/) and wanted to let everyone in on my experience. That blog did very well so I decided to do another blog that would cover a bit of all my travels. I decided to write a book because, honestly, everyone suggested I should and it made total sense! I wrote this book to encourage, assist, and motivate people to go abroad whether they choose to work, volunteer, or just vacation away! My target audience are those between 18-35 but honestly, it could benefit those under 18 and over 35 too! This book is for those that are recent college graduates or those who work a full-time job. Tell me a bit about your “Traveling With a Purpose: Paying It Forward Around the World” Initiative. Where did the idea come from and what’s the ultimate goal? This will be a two-part process. 1) I will take $15 (to symbolize the year 2015) and put it in a thank you card and bring it to every place I travel to leisurely. I will then give out one card per trip to someone who is deserving of a smile and a pick me up! This could be a front desk clerk at a hotel I am staying at, a cab driver who goes out of their way to show me their country, or a janitor who is cleaning up at a mall I visit.The purpose of doing this is to give people the same smile and warm feeling I get when I travel somewhere new. I want to let people know that I am appreciative of their help and assistance and I want them to know that they deserve something beyond what they thought they would receive that day.To some of us, $15 may not seem like a lot of money, but in some places it can pay a bill, buy a family dinner for a night, substitute a day of work for someone, pay for taxi service to a from work for a few days, etc. I will document my giving experiences and let you all know who and why I choose to give a Thank You card gift to. 2) I am very excited about the release of my book and I look forward to hearing what everyone thinks of it. My number one goal for writing this book is to inspire and motivate people without a lot of money to go abroad and experience the world, because it is very possible to do so! At the end of this year (December 31, 2015) I will take 5% of ALL profits from my book and help someone obtain a passport and flight to an International location for 4 days and 3 nights to help them experience the other side of the globe. Towards the middle of this year (around July/August) I will have the people in my community nominate someone they know who isn’t financially able to afford traveling abroad but would love to do so. I will then choose 1 person. This is in hopes that it will help someone receive a brand new outlook on life as I know, firsthand, that travel can do. I am so excited for this year: traveling to new places, giving back to others, and sharing my book with those who I know can greatly benefit from it! One more question before we wrap up. What do you think is the most important thing for young travelers to know? That traveling is NOT just for the rich and famous! That solo traveling is one of the best gifts you could ever give yourself! Although your first international experience maybe a bit nerve wrecking, it will be the best decision of your life! Traveling helps you grow in ways you could have NEVER imagined! Go beyond the Caribbean-you won’t regret it! 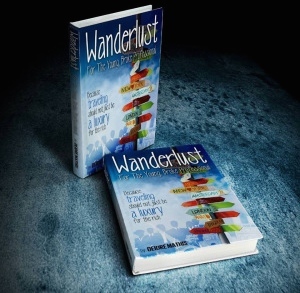 To read an excerpt from the book and make a purchase, go to http://wanderlustybp.com/buy-the-book/. Visit http://wanderlustybp.com/traveling-with-a-purpose/ to find out more about how Deidre is paying it forward around the world! And don’t forget to like, comment, and spread the word! Maylin!! Thank you so much for reading and responding! I will make sure Deidre gets your message! !